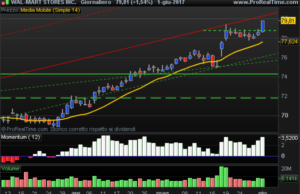 Goldman Sachs set Wal-Mart Stores Inc. stock price target of $84, upgraded stock to buy and added the company to its conviction list. Goldman Sachs has upgraded Wal-Mart Stores Inc. stock to Buy, set a stock price target of $84 and added it to its conviction list. 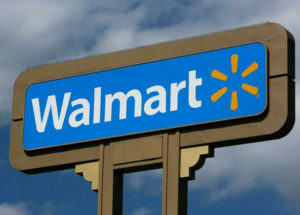 GS analysts believe that Wal-Mart is as well positioned as any mass market retailer to cope with the demands of e-commerce and technology spending, as Amazon.com Inc. continues to expand into grocery and has the scale to undertake big investments in technology and e-commerce. The company also has excellent working capital management, food inflation has bottomed and its relative price/earnings ratio is below the multi-year mean.